The new Diamec Smart: A new control system optimizes performance and extends the life of consumables. Rough, tough and hazardous tasks in drilling are diminishing as technology marches on with automation. The newcomer Diamec Smart is a good example of today’s safety innovations. (RCS) that enables optimized performance and dramatically extends the service life of consumables. “Customers who have tried automatic drilling and rod handling never want to go back. 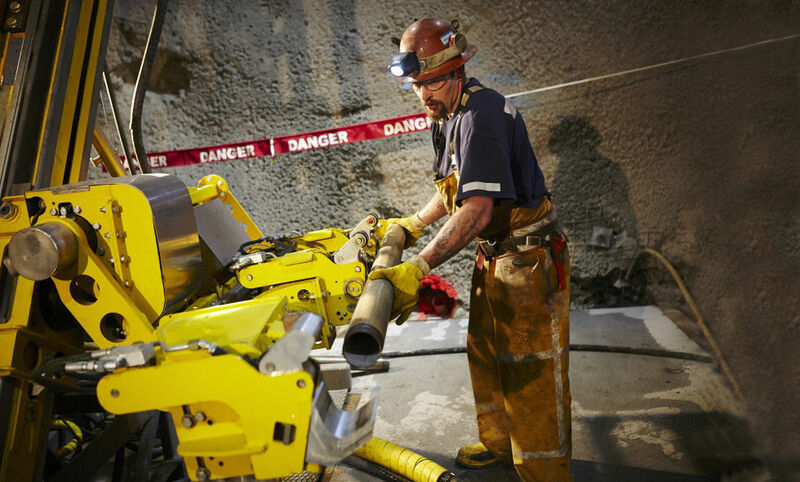 The Diamec Smart series sets a new standard for underground core drilling,” says Martin Sommers, Vice President Marketing, Exploration Equipment, Atlas Copco.